The median price of single family homes in the SCV rang in at $523,000 in August, up 2.7 percent from the previous month, and nearly 7 percent from the previous year. Condos fell only slightly in August, but are still strong year over year, with median equity increasing by 14 percent from August of 2014. These numbers reflect continued positive growth in our economy, as well as interest rates still holding at historically low levels. 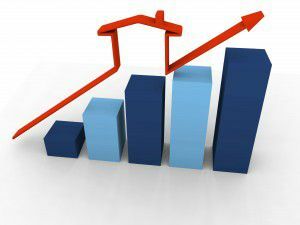 We can also attribute the rise in prices to the still relatively low number of available homes for sale in the Santa Clarita Valley. There was a reported 675 active listings in the SCV at the end of August, which is about half of what would be considered a “balanced” market. While there are many motivations for homeowners to consider selling their property, if you’re looking to sell your home quickly with an opportunity to get top dollar, then you might want to contact us to obtain a free, no obligation Comparative Market Analysis. While the Federal Reserve held off recently on raising rates, they may revisit the idea as early as December. Montemayor and Associates are a team of highly trained, experienced, full service real estate agents who are ready to serve your needs and insure all of your real estate goals are reached. If you’re an “on the fence” buyer, you might wish to take advantage of rates that are still holding below 4 percent (As of the date of this article).